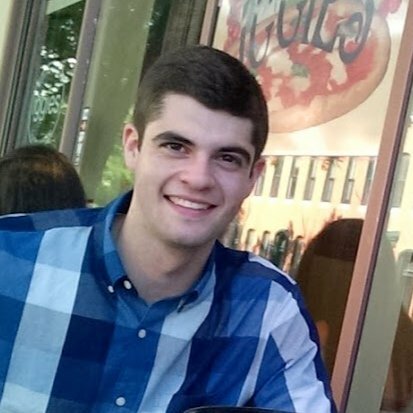 I'm Jordan, a researcher studying neuroscience and computer science at Johns Hopkins University and the Applied Physics Lab. My research interests are in neuroscience connectomics — using brains to make computers better — and computational medicine — using computers to make people better. My résumé is available here (also available as a PDF). I can be reached by email, or you can find me on Twitter and LinkedIn. My open-source software can be viewed on GitHub. I'm an alumnus of the neurodata lab, Joshua Vogelstein's group at Johns Hopkins that develops open-source big-data neuroscience research. If you ran into me at SfN and are trying to pinpoint how you know me, this is probably it. FitMango is a health technology company helping people create and discover fitness communities to achieve their health-related goals. Our web platform allows each user to find an appropriate gym, get matched with a small group of 3-5 peers led by a professional personal trainer, and track their fitness progress. We're hiring software engineers, so feel free to email me for more information! As of February 2015, I am a member of a Johns Hopkins University Center for Bioengineering Innovation & Design Biomedical Engineering Design Team that aims to bring remote-healthcare mobile kiosks to low-access regions of developing countries. HopHacks is a 36-hour, student-run hackathon at the Johns Hopkins Homewood Campus. Please reach out if you or your company might like to hear more or get involved! When I'm feeling unproductive, I sit down at the computer and set a timer for 60 minutes. At the end of that hour, I publish whatever code I've written, even if it remains unrefined or incomplete. This helps me improve my coding-speed, and it also forces me to write modular, readable code. It also keeps me off the streets. View a selection of these projects online here.